Ergomotion Motiontv™ is a simple yet durable electric tv lift pop out mechanism developed for lifting plasma and LCD televisions out of cabinets and wall units. TV Lifts from Ergomotion can be custom designed and fitted to a piece of furniture, helping to create space and avoid theft or damage to your television. 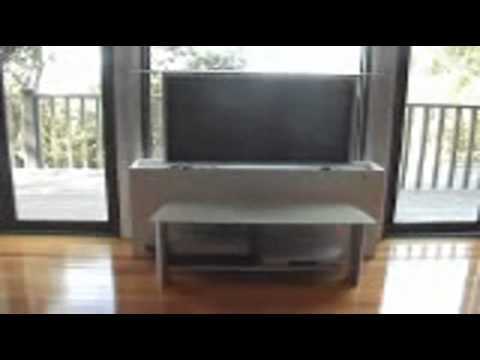 motiontv™ have been specifically designed as TV lifts to lower and raise the monitor from within a piece of furniture. There are two different sizes available the motiontv™-DL442 TV lift will cater for larger TV’s up to 42” or 650mm in height and the motiontv™-DL1160 TV lift will cater for TV’s up to 60” or 940mm in height.